… Bear fruit worthy of repentance. The ancient examen, or examination of consciousness, is a simple, two-part prayer of discernment, reviewing a recent time period (a day, an hour, week, whatever). • When did I feel closest to God or most in harmony with life? Give thanks for the “consolations:” those moments when you felt the gift of life, and the presence or grace of God. Be mindful that the grace in those moments, and the God who granted it, are still with you. • When did I feel most out of touch or out of harmony with God or life? Embrace also the “desolations:” the sorrow, warning, loss or other response arising from those moments when you felt out of harmony, when you felt life drain from you. Be mindful that God was with you then and is now. The inner discord you feel is the Spirit nudging you back toward the path of Life. Within you is an innate desire to be in harmony with God. Dwell with that longing; it is your repentance. Follow it: it is the path of the Holy One. Let it guide you. It is the light that will lead you through the darkness to God. When forty days had passed, the time came for their ritual cleansing. In accordance with the Law from Moses, they brought Jesus up to Jerusalem to present him to the Lord. It’s written in the Law of the Lord, “Every firstborn male will be dedicated to the Lord.” They offered a sacrifice in keeping with what’s stated in the Law of the Lord, a pair of turtledoves or two young pigeons. A man named Simeon was in Jerusalem. He was righteous and devout. He eagerly anticipated the restoration of Israel, and the Holy Spirit rested on him. The Holy Spirit revealed to him that he wouldn’t die before he had seen the Lord’s Christ. Led by the Spirit, he went into the temple area. Meanwhile, Jesus’ parents brought the child to the temple so that they could do what was customary under the Law. 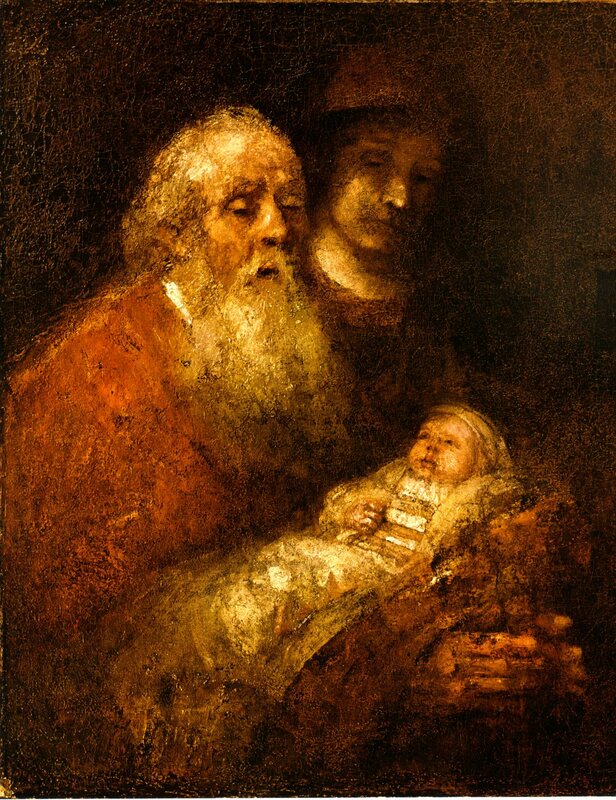 Simeon took Jesus in his arms and praised God. His father and mother were amazed by what was said about him. There was also a prophet, Anna the daughter of Phanuel, who belonged to the tribe of Asher. She was very old. After she married, she lived with her husband for seven years. She was now an eighty-four-year-old widow. She never left the temple area but worshiped God with fasting and prayer night and day. She approached at that very moment and began to praise God and to speak about Jesus to everyone who was looking forward to the redemption of Jerusalem. When Mary and Joseph had completed everything required by the Law of the Lord, they returned to their hometown, Nazareth in Galilee. The child grew up and became strong. He was filled with wisdom, and God’s favor was on him. Simeon’s words from the HOLY BIBLE, NEW INTERNATIONAL VERSION ®, NIV®. Copyright © 1973, 1978, 1984 by International Bible Society. Used by permission of Zondervan. All rights reserved. All other text taken or adapted from the COMMON ENGLISH BIBLE. Copyright © 2011. Used by permission. All rights reserved. Greetings! Thanks so much for being on the journey with me. The blog quietly passed 500 posts last month. That’s amazing to me and I’m humbled by the grace of it all. It’s always been my hope that these quotes, prayers and worship resources would be helpful to others. One beggar showing another beggar where to find bread. Thanks so much for the encouraging comments on how you’re using them and for letting others know they’re welcome to use them as well. I’ve just started a new micro-blog on Tumblr entitled Water in the Desert. It focuses on short Scriptures, prayers and quotes to keep us encouraged during those dry times on the road to wholeness. For me, the journey away from shame and perfectionism needs a constant flow of encouragement. The most helpful words remind me of God’s redeeming power in self compassion, compassion for others, grace, honesty and transparency. You’re very welcome to join me there as well. May this new year take you from strength to strength. ps- If you know the artist of the photograph please let me know so I may give proper credit. A Great Thanksgiving is also known as a Eucharistic Prayer or Prayer for Holy Communion. It is used to consecrate the bread and the wine/grape juice. 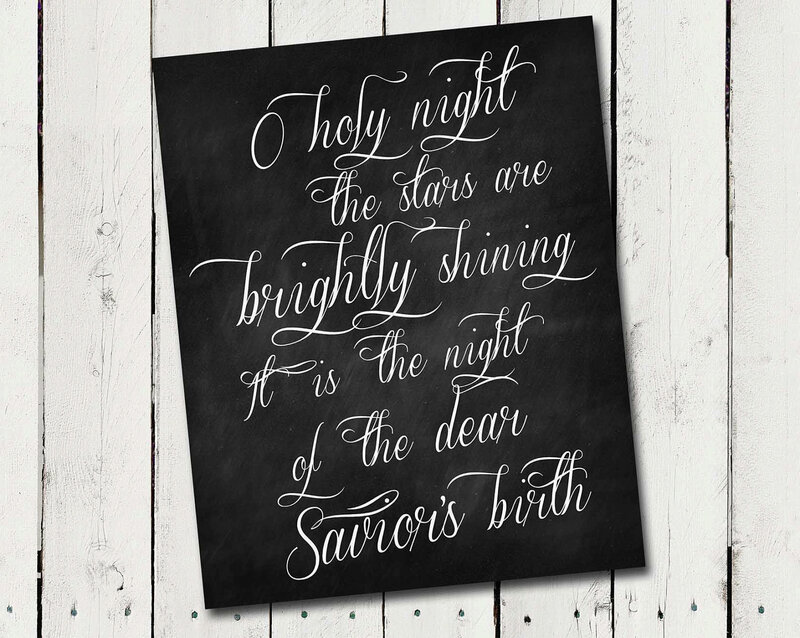 This Great Thanksgiving is inspired by the beloved Christmas classic, O Holy Night. In our sin and error we despise and reject You. All to the glory and honor of Your Name. This Great Thanksgiving incorporates texts from well-known hymns and Christmas carols as congregational responses. The responses may be sung or spoken. This Great Thanksgiving uses traditional Christmas images and congregational responses. “O Holy Night” (“Cantique de Noël“) is a well-known Christmas carol based on the French poem “Minuit, chrétiens” (Midnight, Christians) by Placide Cappeau. Unitarian minister John Sullivan Dwightcreated a singing edition based on Cappeau’s French text in 1855. 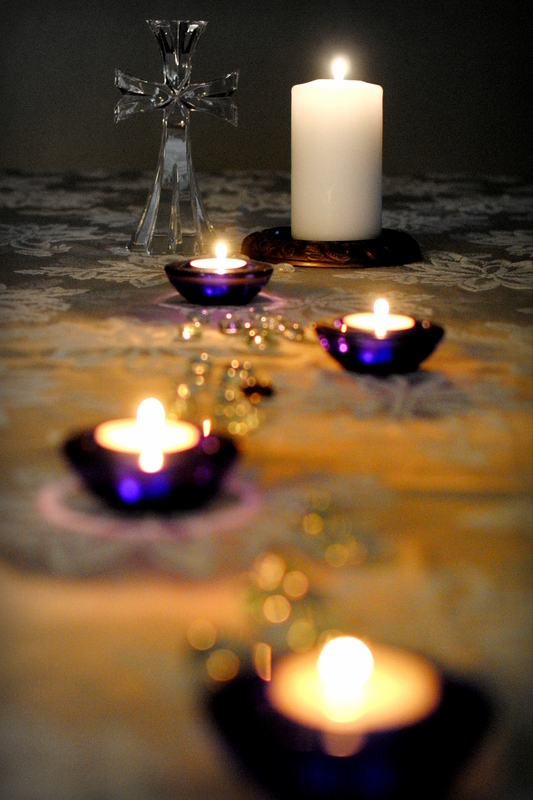 A Great Thanksgiving For Christmas Based on O Holy Night © 2013 Lisa Ann Moss Degrenia. You are welcome to use this work in a worship setting with proper attribution. Last year, six three-year-olds from our church preschool came bounding into my office. They were dressed for their Christmas party and so excited to give me a gift. “Open it! Open it!” I reached into the bag to find a white shirt with green imprints of their feet hanging from painted red ribbons. At the bottom of the shirt it read, “Mistletoes.” We laughed and hugged and took some pictures. Their gift was wonderful, but their presence more than their present filled me with joy. Joy is about presence. The presence of those we love may come and go, but the presence of the One who loves us most never ends. (Hebrews 13:5) Joy is associated with the word enthusiasm which comes from the Greek word en theos – God within. This is the very heart of the Christmas story- God with us and for us and in us. This is what makes the arrival of the Babe in Bethlehem tidings of great joy. You have made the nation great; you have increased its joy. the staff on their shoulders, and the rod of their oppressor. A child is born to us, a son is given to us, and authority will be on his shoulders. Against the backdrop of darkness is the dawning of a new day. New light. New life. Bonds of oppression broken. Endless peace. At the core of Isaiah’s message is rejoicing. Joy. The Messiah is born, inaugurating God’s coming kin-dom. When we remember those rods of oppression that seem unbreakable, what is the good news that breaks through? As we celebrate the dawning of light through the birth of the Christ child, where in our lives are we seeing the in-breaking of God’s kingdom, and who are we sharing this good news with?